It used to be that to the outsid er, La Liga was just about the Big Two; Then last season, the most romantic league in the world smacked its naysayers in the face as Atletico Madrid stirred up, and then edged the competition right at the death. Everybody stood up to take notice and realized that maybe, just maybe, there is more to La Liga than meets the eye. There’s no denying the quality of Spanish clubs, even if for the past decade, Barcelona and Real Madrid took turns in claiming the trophy, usually with double-digit point gaps between them and the next best team. But the Valencias and the Athletic Bilbaos are no pushovers. Last season, of all the Spanish teams to compete in Europe, only Real Sociedad were knocked out by a non-Spanish side. Sevilla claimed the Europa League, while La Liga champions Atletico Madrid had to surrender the Champions League to their wealthier neighbors, Real Madrid. With so much quality on display last season, can we expect the same intensity and drama in the upcoming season? Facelift is the flavour of the off-season in La Liga. With that, it goes without saying that predicting who will triumph in the upcoming edition has gotten much muy dificil. By comparison, Real Madrid did not look as busy in the transfer window as their competition. Last season, finishing third in La Liga would’ve been embarrassing for the royal whites if it weren’t for their success in claiming the coveted tenth Champions League title, La Decima. This season, you get the feeling it’s the treble or bust for Carlo Ancelotti. If preparation is a hint of things to come, then Real Madrid are runaway favorites to win La Liga. Real Madrid strengthened their already immensely talented and deep squad over the transfer window in such intelligent and swift fashion. With Diego Lopez shipped out, they have brought in a more than adequate replacement in Costa Rican Keylor Navas, who produced the most saves in La Liga with Levante last season, before becoming one of the hottest goalkeepers at the World Cup. In midfield they signed Germany’s best central midfielder – a world champion – Toni Kroos for a bargain reported price of 25 million Euros. Perhaps most important, is the capture of the World Cup top scorer James Rodriguez from AS Monaco. While the Colombian is not an all out striker, put him anywhere in the final third and he can provide even more ways for the already multi-dimensional Real Madrid attack to rip opponents to shreds. Real Madrid though, will be somewhat weakened by the impending departure of Angel di Maria. The Argentine was the main component of an extremely potent Real Madrid counter-attack. Little do Guardiola era bandwagoners realize, Barcelona have not always been about Tiki-Taka and La Masia. It must have been a freak occurrence that some of the best players in the world like Messi, Xavi, and Iniesta were all nurtured at Barca’s youth academy and then went on to conquer all before them while playing the most attractive football the world has ever witnessed. For now, at least, talent coming up from La Masia cannot be relied on to lift Barcelona to once again rule the world. With a FIFA-imposed transfer ban set to hit the Catalans for the next two transfer windows, it’s understandable that Barcelona pressed the panic button and stocked up for life in the bunker. In new manager Luis Enrique, Barca have a no nonsense leader who has no time for sentimentalism. His new signings show Barcelona are prepared to ditch traditions in order to win at all costs. Yes, Luis Suarez is the biggest signing of the season and yes, Suarez-Neymar-Messi will better one of Barcelona’s most productive trios in Henry, Eto’o, and Messi back in 2008. But the signing of Ivan Rakitic, who was last season’s stand out midfielder in La Liga, is the masterstroke of Barcelona’s transfer dealings so far. With the box-to-box capability of former Barca favorite Seydou Keita yet with superior attacking talent and intent, the Croatian international is an adequate replacement to Cesc Fabregas and the aging Xavi. As the under-appreciated Mascherano is pushed back into midfield, we will see a grittier and a much more balanced Barcelona midfield in the new season. Barca also finally signed their first centrebacks since Chygrynskiy in 2009. Jeremy Mathieu may not be a household name, and at 30 this is a signing for the present. The physically imposing yet deceptively quick Mathieu is an instant upgrade and adds depth to Barcelona’s back line, of which there were only two true centre-backs last season. Another centre-back singing, another former Arsenal captain, Thomas Vermaelen, may well contest for a spot in defence should he be able to regain form and avoid further injuries. This is a Barcelona side in transition. Expect them to battle it out for second place. All of last season, all-round legend and Atletico manager Diego Simeone played down his side’s chances against Barcelona and Real Madrid. After the fairy tale and almost perfect ending to the 2013/2014 season, sadly, his words will hold true this time around. Atletico too, are a team in transition. When the (relatively) smaller teams enjoy success, it’s only natural that large teams snap up the best players. The most notable departures were Diego Costa, their top scorer, and Filipe Luis, arguably La Liga’s best left back last season, and of course, Thibaut Courtois, the best young goalkeeper in the world. Their replacements leave a lot to be desired. Between the sticks, Miguel Angel Moya from Getafe is an underwhelming signing. Having never really stood out in his 12 year career in Spain, it’s doubtful he can rise to the occasion at a club as big as Atletico. Up front, Mario Mandzukic is not nearly as mobile as Diego Costa. Unlike Diego Costa, Mandzukic does not possess the score-at-all-costs determination that Simeone so very valued. Atletico’s famous quick transitional plays may not sit will with their new number 9. On a positive note, Atletico’s capture of Antoine Griezmann from Real Sociedad is an instant upgrade from Adrian. 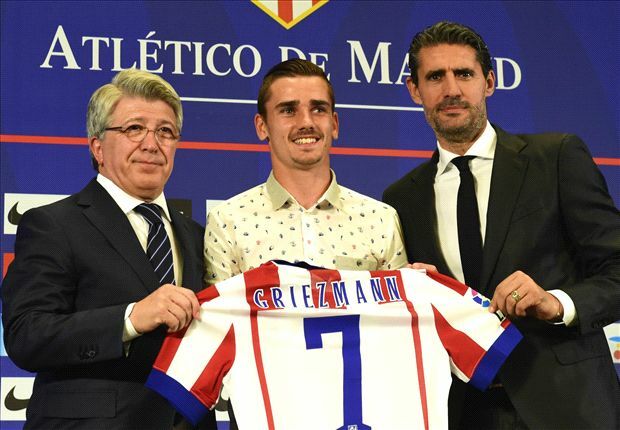 Griezmann will occupy the wings and at age 23, Atletico bought this French gem full of potential at the precise moment that he could blossom into one of La Liga’s best players. Atletico’s midfield core too, remains intact as Koke, Arda Turan, and inspirational captain Gabi have all remained. Atletico Madrid though, were never a side of superstars. Simeone have always preferred team unity over individual brilliance. If the Argentine can still instill the tactical perfection, unpredictability, and passion into this intelligent group of players, then they should challenge for the title. Problem is, their city rivals are just too strong this time around. It took just one season for manager Ernesto Valverde to turn Athletic Bilbao’s fortunes around. Now Bilbao are in the Champions League for the first time in 16 years. This is the strongest Athletic Bilbao side for at least a decade. One of the wonders of the world should be how Athletic Bilbao have a Basque-players-only policy yet still manage to stay competitive in La Liga. They are by no means a buying club. They churn out Basque talent after Basque talent only to see the fruits of their labor enjoyed by the highest bidder. Coming into this season, they have already lost chief playmaker Ander Herrera to Manchester United. To date, the only signing they have made was Borja Viguera, a striker from Alaves. But Athletic Bilbao’s strength is in what they already have. Forget Ander Herrera, Bilbao still have a midfield idol in Ander Iturraspe, who shone brightly last season. Centre-back Aymeric Laporte had a breakthrough season in 2013/2014, and the youngster will look to establish himself amongst the best Spanish defenders in the coming years. It’s mind boggling to realize that Iker Muniain is still only 21, as the little forward seems to have been around forever. With every new season, the talent ripens and it is about time for Muniain to take centre stage in the Athletic Bilbao attack and lead them to contend for Champions League qualification. Unlike the Premier League, big-money tycoons have not brought instant success to La Liga sides, as Malaga can attest. Enter Peter Lim, a Singaporean businessman set on reviving the once-great Valencia. Yet, so far, no major deal has taken place at the Mestalla and the team does not look too different to last season. That could play well in Valencia’s favour, as they can rely on continuity and team unity. Expect young striker Paco Alcacer to better Roberto Soldado before him and establish himself as one of Spain’s best strikers. He may even stake a claim for a place in Spain’s faltering national team. Perhaps it’s too soon for manager Nuno to dream about emulating the legendary team of Gaizka Mendieta, Kily Gonzalez et al at the turn of the millennium. 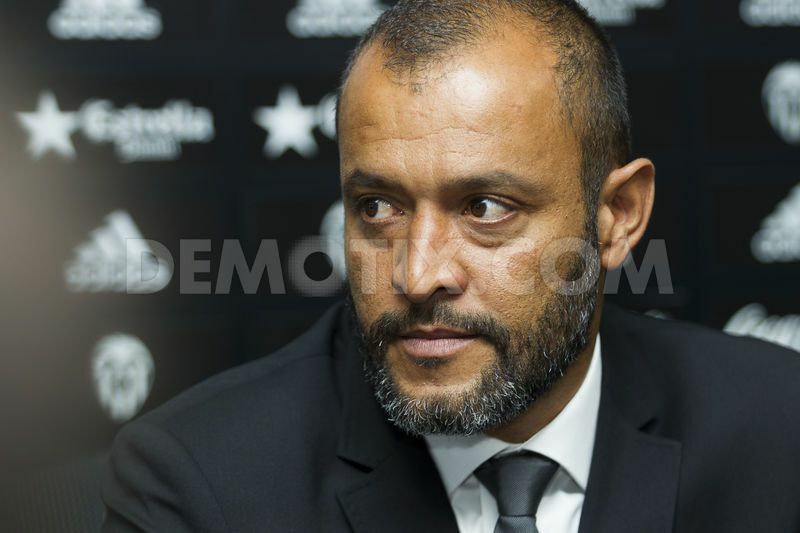 With what Nuno has at his disposal, Valencia should be happy with contending for the last Champions League spot in the coming season. Sevilla look solid in defence (should Federico Fazio stay at the club) and midfield, but a forward line led by Colombian Carlos Bacca simply cannot compete with the best. Behind him, he’s backed by young Barca loanees Gerard Deulofeu and Denis Suarez, both unproven on the big stage. That said, if Ever Banega can resurrect his career at the heart of their midfield, he may prove important. Last season, Real Sociedad finished 11 points off fourth place. This season, their struggles look set to continue as they have lost key players Claudio Bravo and Antoine Griezmann. The midfield consisting of Esteban Granero and Sergio Canales still looks solid however, and Carlos Vela remains to score at least 20 goals this season. Villarreal impressed upon their return to La Liga with a sixth placed finish last season. Marcelino Garcia Toral has at his disposal a relatively unchanged squad. Mateo Musacchio, Cani, and the Dos Santos brothers will look to maintain Europa League qualification for the Yellow Submarines. 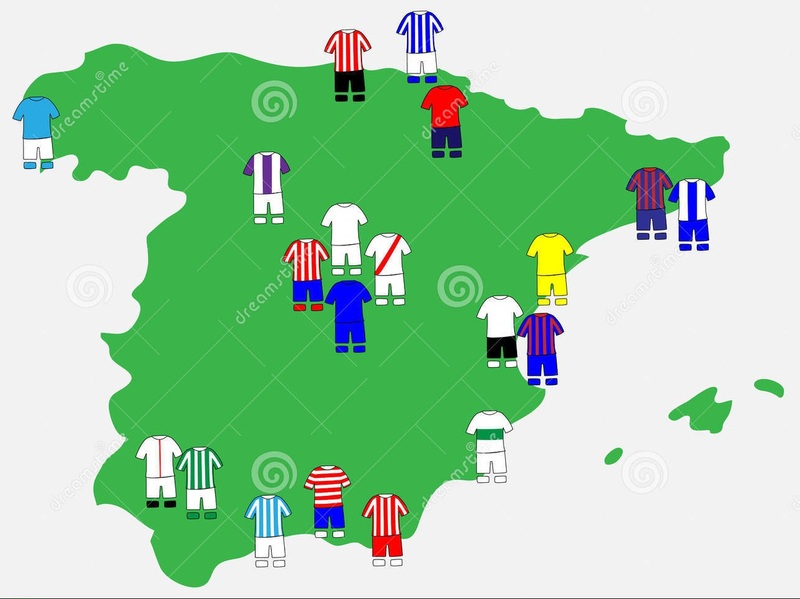 New boys Deportivo la Coruna, Eibar, and Cordoba will not provide any sort of surprise in the coming season. All three are financially insecure and will have to rely on players on loan to get by. A return to the Segunda after just a year in La Liga looks very likely. As La Liga raises its curtains this weekend, we’ll be once again treated to generally beautiful attacking football across the competition. Last season will be tough to match, but if the transfer dealings in the off season are anything to go by, it’s going to be another joyful ride.